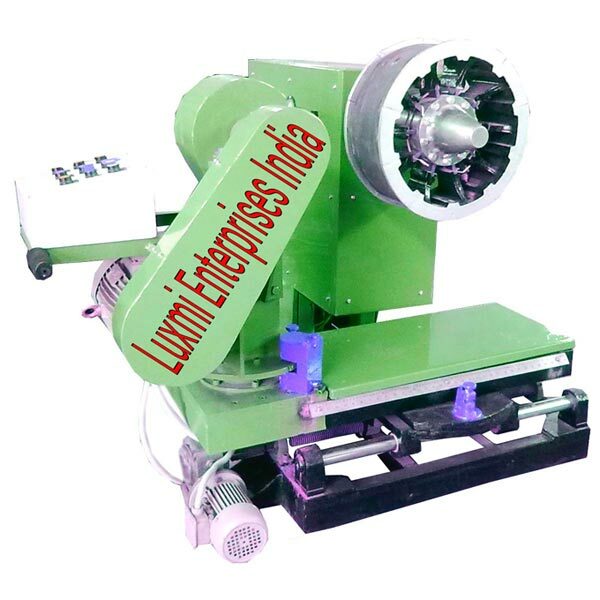 Luxmi Enterprises India is a dependable Manufacturer and Supplier of Pneumatic Buffer Machine. Our Pneumatic Buffer Machine is provided with Expandable Hub & Rims according to tyre size. The machine has a capacity of 14.00 - 20 tyre size. It is equipped with 10 HP motor for buffing. Pneumatically operated inbuilt tyre lift for lifting of tyre from the floor to the chuck. Tread measuring device for easy measurement of circumference without using the measuring tape. Forward & reverse buffing facility. Device for measuring shoulder trimming width. Pneumatic brake for rotary table & rasp stand. Heavy suction 3H.P blower for buffer dust. Air blow gun for air blowing purpose as required. Air jets for buffer dust cleaning at slide rail & lead screw. Specially designed rasp hub assembly & blades fro uninterrupted working. Motorised table slide movement with 0.5 H.P motor.